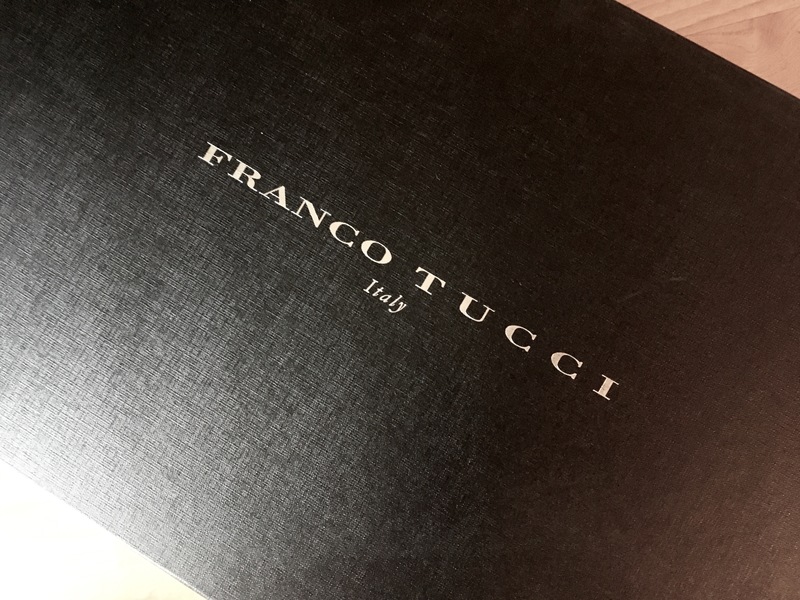 Remember way back at the very end of January when I finally got to order my long-coveted Tucci boots? Guess what came? And not a moment too soon, because despite the fact that I have 3 pairs of tall boots in my closet, all of them are in various stages of death. My previous show boots, the Ariat Monacos, have several holes in each boot. My super soft TuffRider boots finally popped a few stitches (and are too short to show in anyway), and the brown Mondoni’s have very admirably held up to constant use over the past year but are definitely not much longer for this world. So I’m not gonna lie, I might have squealed a little bit when I saw the Tucci box. And I have to give them extra points, it’s a damn nice box. Very fancy. I very sloooowly opened them because these boots are supposed to last me a long time, therefore who knows when I’ll get the pleasure of opening a new boot box again. 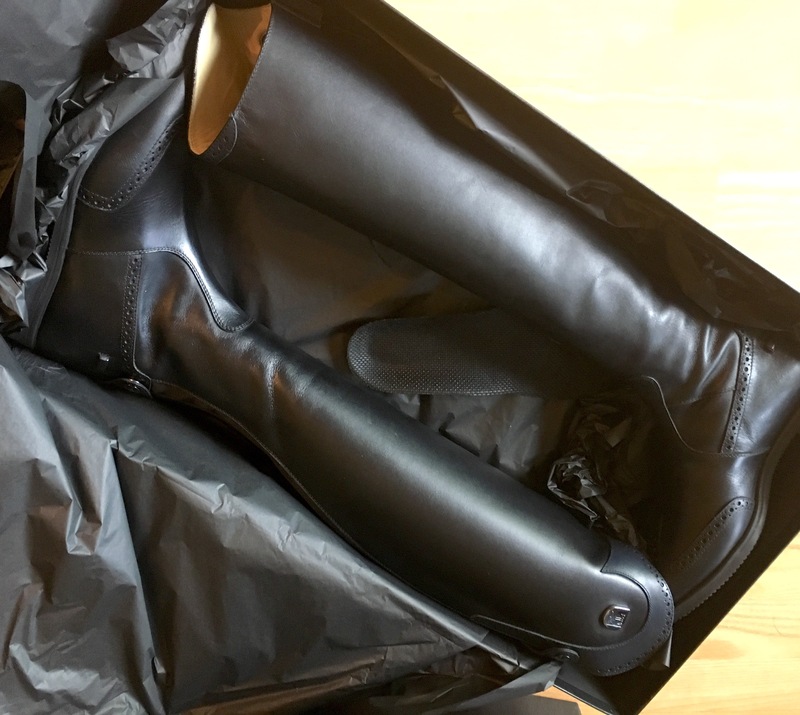 Y’all know how glorious it is when that new leather smell first hits your nostrils, and then the excitement of slowly peeling back the tissue paper to reveal The Lovelies underneath. And they are really, really lovely. I ordered the Tucci Marilyn, which has all the fancy punching around the top, heel, and the wingtip toe. 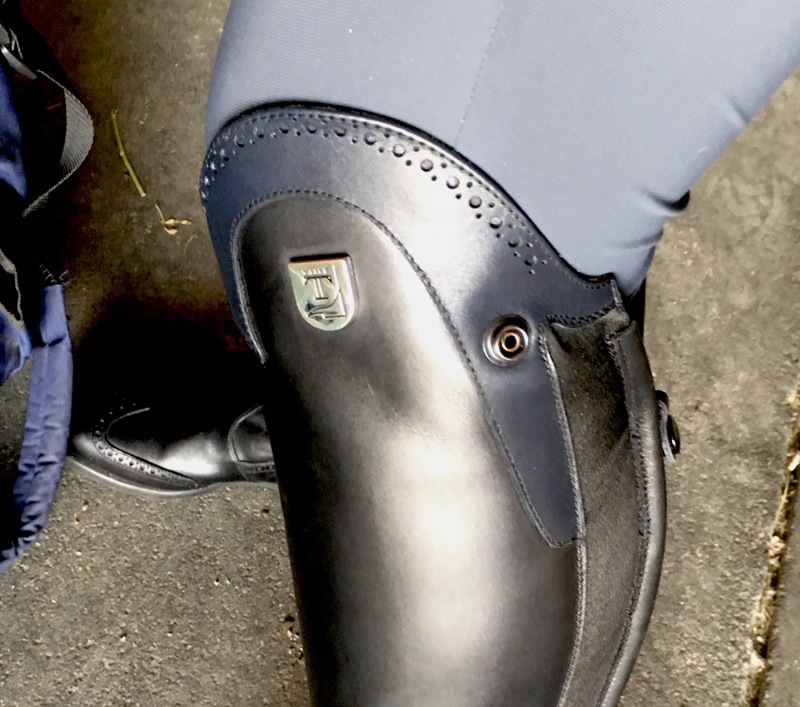 Thank you eventing for being a sport that welcomes individuality, because I’m not sure that I would have been ballsy enough to order these if I was still in h/j land. I know a lot of people are meh about a wingtip, but I freaking love it. I special ordered them with a navy top, because… do I really have to explain? I’m just a really big fan of navy, ok? Although I do admit I was a bit worried that with all the punching and the wingtip, the navy might send them over the edge of “too much”. For some people I’m sure it does, but for me the navy is subtle enough to where it’s pretty perfect. From a distance you definitely can’t tell it’s navy, you have to get close up to see for sure. But how do they fit? Pretty freaking perfect. Granted, I am not that hard to fit, these are an off the shelf size… 39H (regular calf, extra tall). 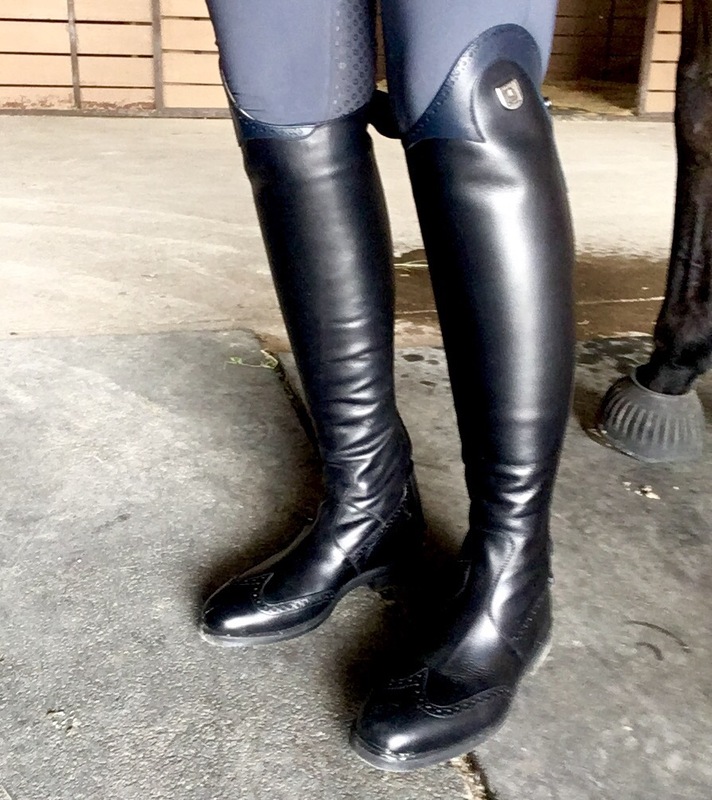 They are definitely tall on me at the moment, it is not very comfortable to snap them behind the knee yet, but my #1 pet peeve is boots that end up too short. Cannot stand it, even if it’s just the tiniest fraction too short, so I always err on the side of too tall. They’ve already started to drop some and I think in another week or two they’ll be the perfect amount of slightly too tall – exactly how I like them. There are a lot of features of the Tucci’s that I think are really interesting and the construction seems pretty impressive. I’ll do a formal review and get more into all of the details once I’ve had them for a while. For now though I just want to stare at them and tell them they’re pretty. Previous What Had Happened Was… BuCha. They’re beautiful boots! Any idea what your next schooling boots will be? Probably the brown Ego7’s, sticking with the Tucci brand. I’m hoping I can save up enough to buy them when we’re in Europe, since they’re waaaay cheaper over there. Hopefully the Mondoni’s can hang in there for that long… it seems sketchy at the moment. That would be awesome to be able to buy in Europe and save some $$. Fingers, toes and everything else crossed that the Mondonis hang in there. I bet breaking them in his going to be a pain!!! They look so soft already! They will be even more beautiful when they get a little wear on them and look Real. So gorgeous. I think some drool may have escaped! So far I definitely do. They’re pretty much done with the breaking in part, and they’re SO comfy. They’re so gorgeous! I love the wing tips. But I am not capable of this unboxing method you discussed. I rip that paper away like an 8 year old at Christmas!